Carl Arko, age 79, of Gladstone, MI, passed away Friday afternoon, June 22, 2018 at St. Vincent Hospital in Green Bay. Carl was born December 19, 1938, in Detroit, MI, the son of Carl Arko and Gertrude (Pazczynski) Arko. After graduating from Lapeer High School, Carl joined the United States Air Force where he served on active duty for 4 years. 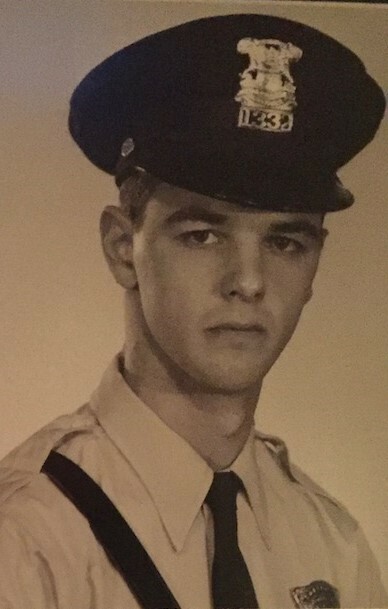 After leaving the Air Force, Carl was accepted to attend the Detroit Police Academy and graduated in March of 1961. Shortly after graduating, Carl met his future bride, Claudia Lemke and they were married on 16 March 1962. While a member of the police force Carl went to college and received his Teaching degree. He served on the Detroit Police Force until 1971. The family decided to move north and settled in Cedar River, Michigan. Carl started working for the Delta Schoolcraft Intermediate School District and started teaching building trades. He then became the Administrator for Vocational Education implementing many changes and received numerous grants that led to improvements that are still leaving a positive impact on the Michigan education system. While living in Cedar River, Carl decided to join the Air Force Reserves and continue his service to the country. In 1986, he changed jobs and location moving back to the lower peninsula, and joined the St. Clair County Regional Educational Service Agency as the Administrator for General Education. After completing an additional 16 years of service Carl retired from the Air Force and in 2000, he retired from over 30 years in the field of education. In 2013, Carl and Claudia returned to Gladstone to be closer to their family. 3 Nephews: Carl, Robert, and Todd Arko. In addition to his Parents, Carl was preceded in death by his Brother, Thomas Arko. Private Services will be held in July for close friends and family. Carl will be laid to rest in Arlington National Cemetery at a later date. The Skradski Family Funeral Homes of Delta County are assisting the Arko family. Please visit www.skradskifuneralhomes.com where you can express your sympathy to the family. In lieu of flowers, the family requests donations in Carl’s name be made either to the American Lung Association, to St. Jude Children’s Research Hospital, or to the Oncology Department at OSF Hospital.